BANGKOK, -- BAE Systems have signed a new contract with Bangkok Dock to assist in the licensed construction of a second 90 metre Offshore Patrol Vessel for the Royal Thai Navy. Under the agreement, we will provide engineering support and advice during construction of the vessel in Thailand. Nigel Stewart, Commercial Director, BAE Systems’ Naval Ships business, said: “We’re looking forward to building and strengthening our relationship with Thailand’s shipbuilding industry. This contract to support delivery of a second Offshore Patrol Vessel to the Royal Thai Navy is a clear endorsement of our versatile Offshore Patrol Vessel design. "With three of these ships already in service in Brazil and a further three Offshore Patrol Vessels under construction for the UK Royal Navy, our design continues to attract significant interest internationally." The Offshore Patrol Vessel is a highly versatile ship, making it a cost-effective solution for many navies, with options for us to construct vessels at our facilities in Glasgow, Scotland, or for international customers to build ships under licenced design agreements using their own indigenous industries. The Royal Thai Navy accepted its first 90 metre Offshore Patrol Vessel, HTMS KRABI, from Bangkok Dock in 2013, which is a variant of the baseline BAE Systems design. HTMS KRABI has already completed around 1000 days at sea with the Royal Thai Navy. BAE Systems delivered three Offshore Patrol Vessels built in the UK to the Brazilian Navy from 2013 to 2014. We are also constructing three Offshore Patrol Vessels for the UK Royal Navy at our facilities in Glasgow, Scotland. The ships are of the same baseline design, with modifications to meet UK Royal Navy requirements. The UK Government committed to buy two further Offshore Patrol Vessels in its recent Strategic Defence and Security Review. The Offshore Patrol Vessel is designed for management of economic exclusion zones and the provision of effective disaster relief, with the range and capability for ocean patrol and deployment anywhere in the world. The design is based on the proven pedigree of the 80 metre River Class vessels operated by the UK Royal Navy since 2003. Good sea-keeping, speed and fuel economy have been improved further by the lengthened hull of the 90m variant, while the rugged commercial components in the ship systems are suited to high annual operating hours and rapid repair. The design can be modified for either naval or coast guard needs, including options for a hangar, alternative combat systems, boats and internal compartments, such as additional aft accommodation. The ship’s capacity for Special Forces deployment, pollution control, operation of remotely operated underwater vehicles to provide mine countermeasures and carriage of standard containers add to the versatility of the design. The optional commonality with UK Royal Navy command systems provides significant potential for minimising future obsolescence as well as providing scope for training in the UK. 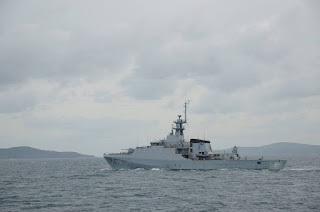 The Royal Thai Navy HTMS Krabi (OPV-551) offshore patrol vessel. 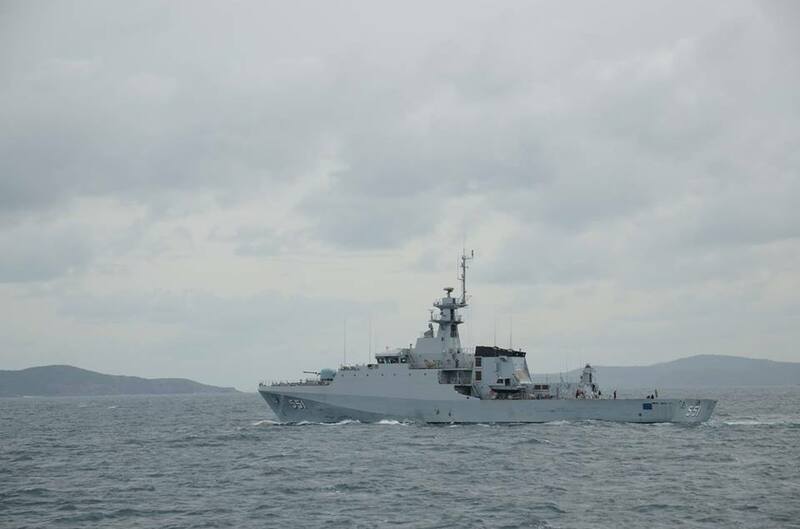 She is a modified river-class patrol vessel, and was built by Mahidol Naval Dockyard, with design and technology transfer support from BAE Systems Surface Ships.